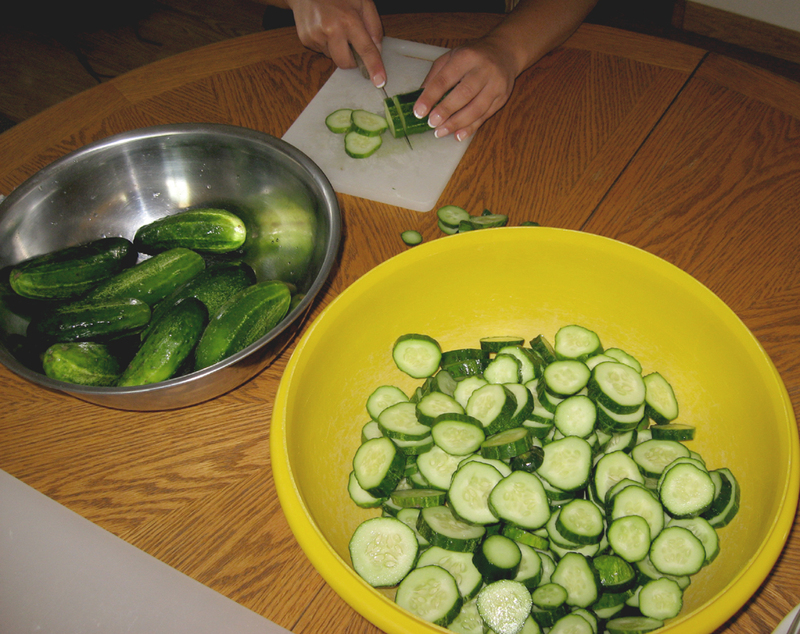 Step one: Cut the cucumbers and onions. 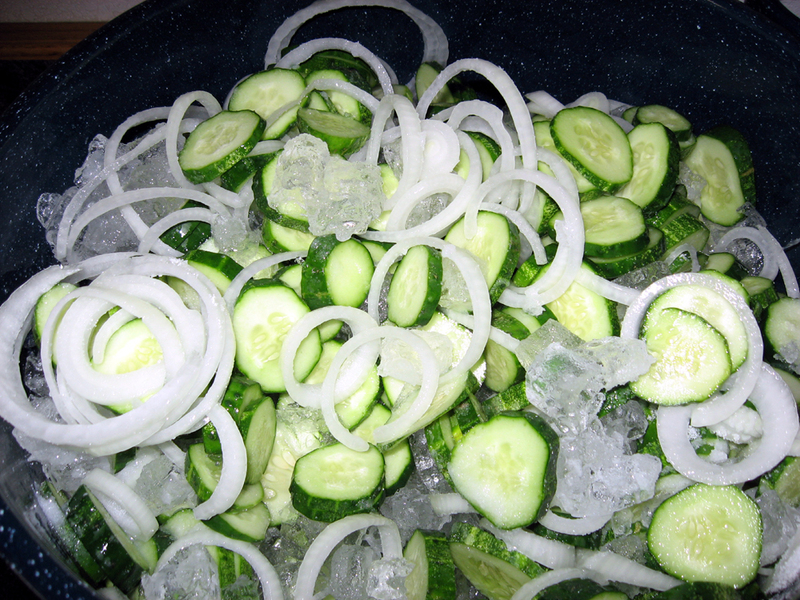 Step two: Ice the cucs and onions for three hours. 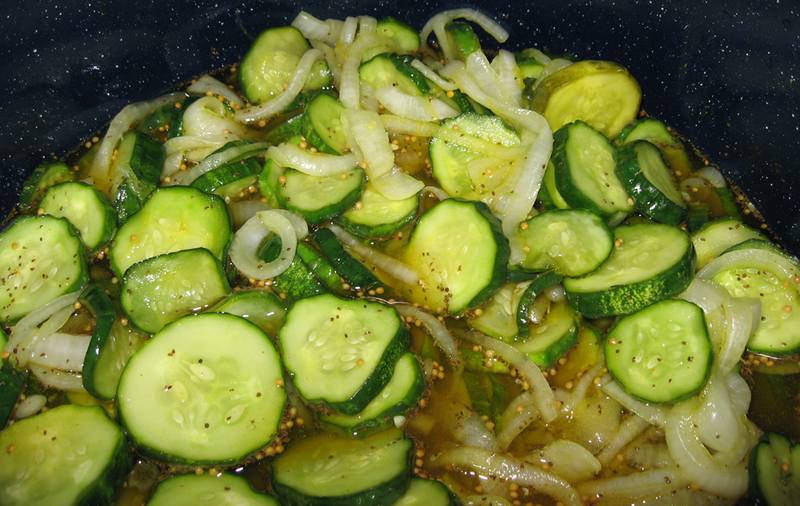 Step three: cook the cucs and onions in the mix of vinegar, sugar, and spices. 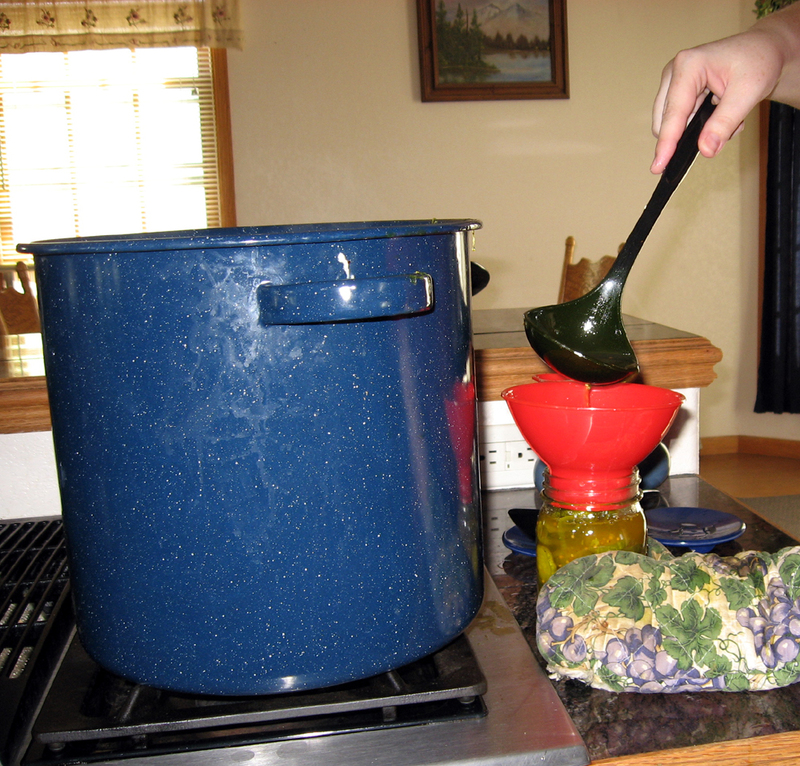 Step five: "bathe" the jars to create the seal on the jars. We are attempting our first batch of apple/pear jam and butter today. Wish us luck! I have never made pickles...What an art! I wish you would relocate to cape Cod and teach me in person! Can't wait to hear how your jam turns out Tammy! I've made jam and jelly before, but always with the help of my friend Nancy. I haven't tried it "on my own". My mom used to make pickles, so I use her dill recipe. She wasn't here when we made our first batch a few years ago. But, I do know we called her several times that day with many questions! It's not as hard as I thought, but it was intimidating the first time! Now we're "pros"! Step 7 - Eat and enjoy!! 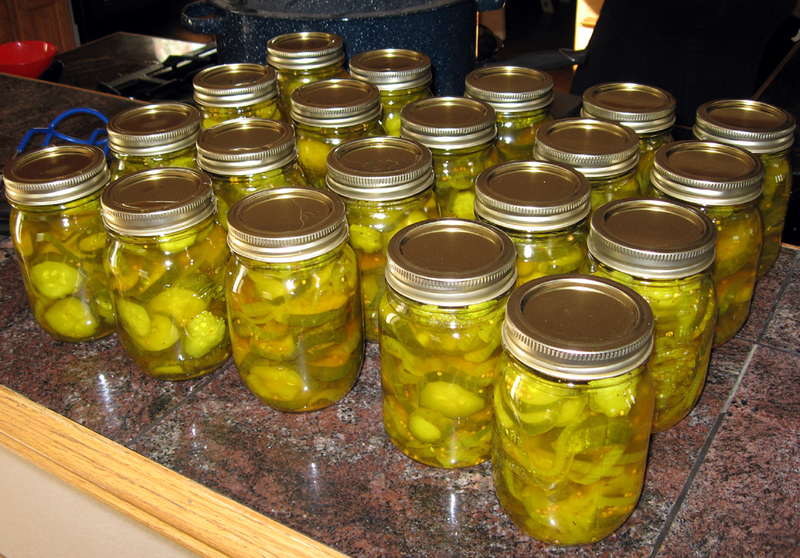 I love bread and butter pickles and used to make them years ago. I haven't done any for so long but you've got me thinking now!! And drooling!!! B&B pickles on the side. Heaven!! I used to make Freezer Pickles, and they were tasty..Our garden now is mostly peppers an' beans. But they go into the freezer. Not as much work!! Come an visit me!! I've got something new to see!! 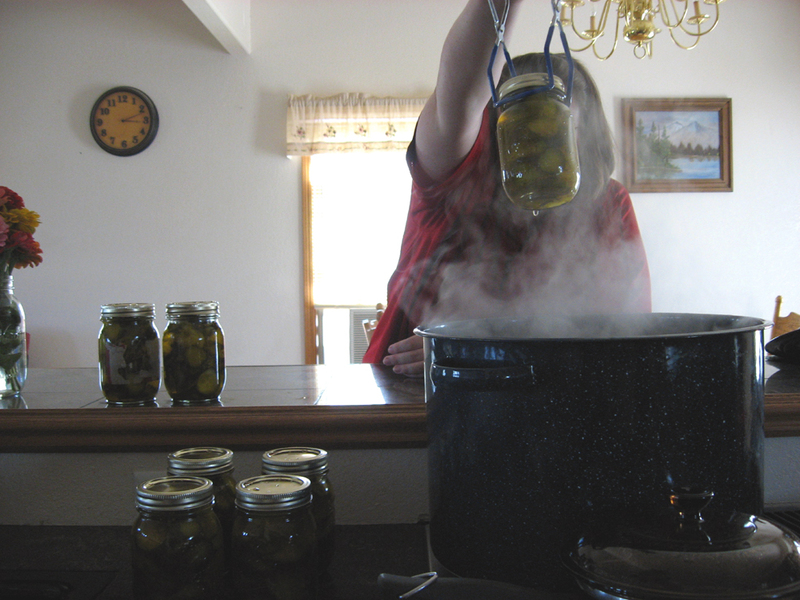 My Nan used to pickle and can every year. 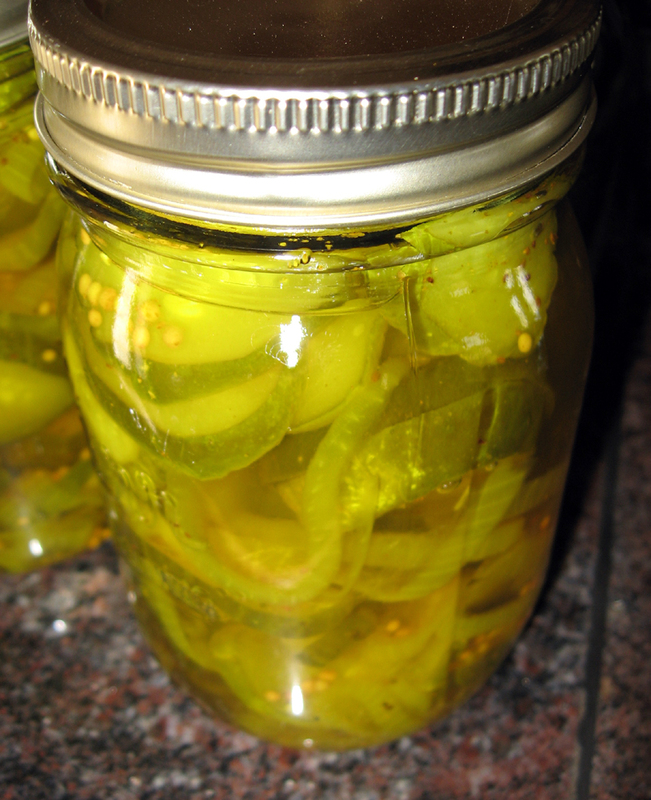 I like to make spaghetti sauce and my hubby even pickled jalapenos last year all on his own. He was so proud of himself. I used to make huge batches of peach jam every fall when I was in university and then give them away with a fresh loaf of homemade bread to my family and friends at Christmas.